Exploring the impact of place on the perception of art within the context of the Kansas City Museum, this exhibition showcases a group of contemporary ceramic artists whose works offer insight into the intersections between art, culture and daily life. Although diverse in their forming methods, working practices and artistic styles, Now & Then brings artists at all levels of their ceramic careers back together with their peers and mentors from CU Boulder’s MFA program. Vessels inspired by ancient pottery traditions, ubiquitous cultural forms remade and arranged together as a question mark to the idea of originality and authorship in contemporary art practice, abstracted topiary and garden forms that are both minimal and opulent, playful sculptures precariously balanced to highlight the imperfections and embarrassments of everyday life, bouquets and arrangements fixed in a material as old as domesticity itself: Now & Then mixes the old with the new in hopes of unearthing truths about beauty, art and the mundane. Set in the Beaux Arts Architecture of the Historic Kansas City Museum, Now & Then offers the artists and the audience a unique opportunity to view art and architecture in concert with one another. 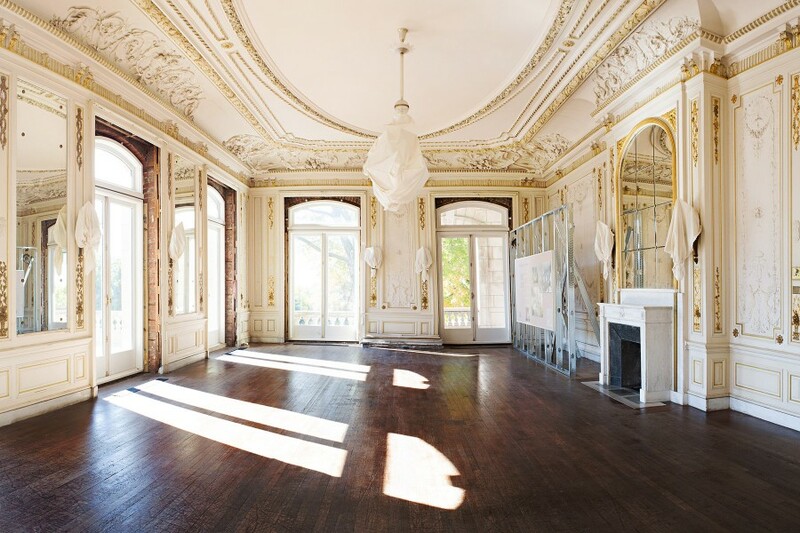 In mixing turn-of-the-century ideals and the visible decay of the Long family’s former residence with contemporary art, we find striking similarities and drastic differences. The intertwining of this historical location with work that is normally flanked by white gallery walls brings new perspectives on what came before and what is yet to come.